A newly illustrated edition of an Amelia Bedelia classic, now in an I Can Read format, features the hilariously literal-minded housekeeper as she strips the sheets, pares the vegetables, and makes a jelly roll. Simultaneous. Peggy Parish is the author of numerous books for children, including other popular Amelia Bedelia stories, and the I Can Read Books Dinosaur Time and Good Hunting, Blue Sky. 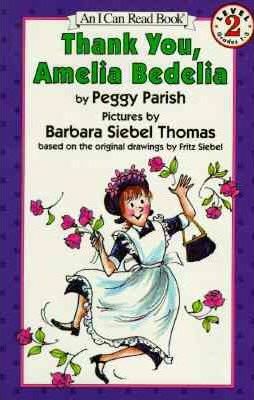 Barbara Siebel Thomas is the daughter of Fritz Siebel, who illustrated the original Amelia Bedelia books. She worked as an art director before devoting full-time work to painting and illustrating. She lives in Bridgehampton, NY.